Longtime Mansion on Turtle Creek chef Dean Fearing is riding high in the saddle of his ritzy restaurant. 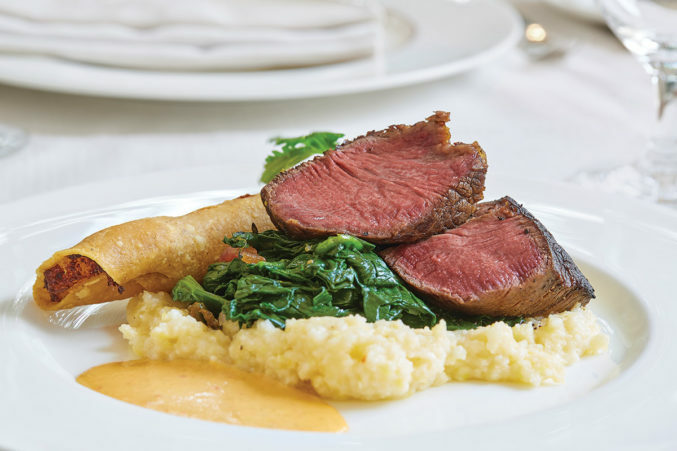 The menu’s elevated American cuisine is a collection of upscale, homey dishes like prime rib-eye mopped over live Mesquite, served with creamed cornbread pudding and tortilla soup. The Rattlesnake Bar is for those who want to see and be seen.